Extreme Dry Skin Solution - Cocoa Butter Scrub by Queen Helene - Review & Discount Code | Sahrish Adeel - Malaysia based Pakistani Beauty & Lifestyle Blogger! I have been using Queen Helene's products for years but never got a chance to share my reviews on them. Here I am, sharing years of experience with this amazing Cocoa Butter Scrub. I own the old packaging because once I tried the first item, I stocked up and I am down to my last tube now but you will see the new packaging in full post. 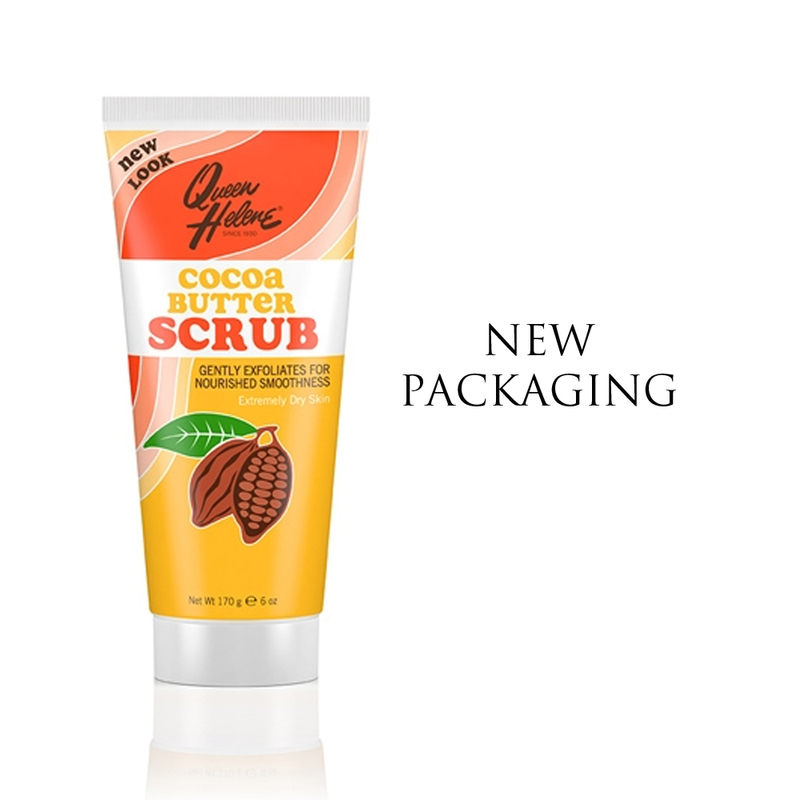 They claim: This soothing facial scrub helps draw out impurities and remove dead, dry skin cells, while natural Cocoa Butter helps replenish lost moisture. After use, skin is soft and smooth with a supple appearance. The tube is made up of plastic with screw cap & contains 170 grams of product. You can smell the cocoa butter in this scrub and it has a thick consistency. The scrub is not too mild but not too harsh either. This product is for extremely dry skin but I love it for my combination skin; I have mixed of oily and dry zones on my face. This is probably going to be one of my shortest reviews. I bought my first tube a long time ago which you can see in my 2013 haul post and soon after, I had to buy a few more tubes as soon as I found out that this scrub works great not just for the face but body too. I get why this is made for extremely dry skin types because it leaves just enough moisture behind while removing all possible dirt and oils from the skin. Top it with one of the suitable masks and you are good to go. Since the scrub is not too hard, I use it once or twice every fortnight completely depending on how my skin is behaving and how much exposure I had with makeup and outside world. It also minimizes any redness you might have on your face, which in my case is mostly on my cheeks, chin, and area on side of the nose. Other than the face, this scrub works great for the body; elbows, knees, underarms and all over the body. The scent in the scrub makes you feel like you are in a spa and I love that feeling. All in all, I am in love with this scrub. I am planning to order a bunch of Queen Helene's products again very soon and hopefully will have the new packaging too. Discount: If you order Cocoa Butter Scrub through iHerb.com and use my code FCC570 at checkout, you will get 5% on your entire order and 10% on iHerb's House Brands. This code has no expiry date and is not case sensitive. Queen Helene's Cocoa Butter Scrub has different prices all across the web. You can get the product anywhere from $3.50 to $8 and sometimes more. iHerb provides the best prices and affordable shipping worldwide but I am also including some trustworthy links to buy the item online. You can find Queen Helene's products at iHerb, Sally Beauty, Walmart, Lazada, eBay, and Amazon. You can also check out Queen Helene's official website for their complete range details but you cannot buy directly from the website.